Family planning education and climate change risk management go hand-in-hand in Africa's Sahel region, with higher temperatures and population growth in forecast. Niger and other countries in the Sahel region of Africa are facing a brutal combination of the highest population growth rates in the world and the devastating effects of climate change – a combination that spells disaster. Some scientists now say family planning might help in providing some relief on both issues. “Here in Niger, when we talk about climate change we talk about building resilience,” said Sani Ayouba, executive director of Jeunes Volontaires pour l’Environnement (Young Volunteers for the Environment, JVE) based in Niamey, Niger. That need for resilience prompted Ayouba to found JVE, which addresses Nigerien environmental challenges by mobilizing youth and women and building leadership at the local level. Recently, JVE started including education about family planning in its programing “as another way of adaptation,” he said in an interview. Family planning, broadly understood, gives women opportunities to be proactive about when, and if, they have children by using contraception or by delaying or avoiding pregnancy through other means. In areas like the Sahel, where fertility rates are higher than in most of the world according to a World Bank survey from 2016, family planning education and efforts result in smaller families. The smaller families mean fewer mouths to feed, an important adaptation for people in the Sahel who face rising temperatures and thus a threat to food security. A smaller population also can help lead to a smaller carbon footprint. This is tricky territory. 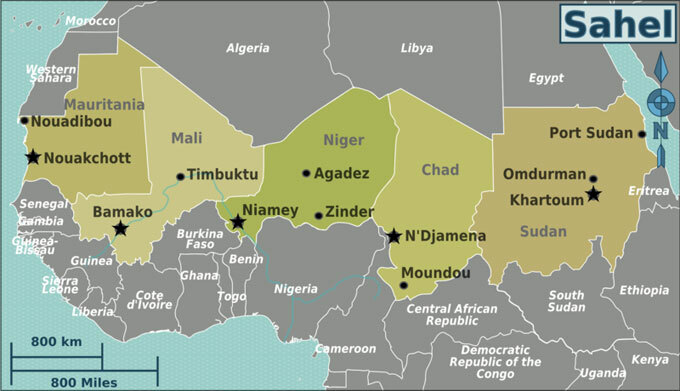 Some argue that the responsibility to reduce the world’s population for climate reasons shouldn’t fall on countries whose carbon footprint is de minimis, as is Niger’s. “All we can do for these countries which have very little carbon footprint themselves is to help them adapt,” says Malcom Potts, professor emeritus at the University of California’s School of Public Health in Berkeley and co-founder of Organizing to Advance Solutions in the Sahel (OASIS). Temperatures in the Sahel are projected to rise 7-10 degrees Fahrenheit by 2050 and increase by an additional 3 degrees Fahrenheit by 2100. Conservative estimates of population growth in the region show an increase from 100 million in 2010 to 340 million in 2050. In a study done by Lund University in Sweden, people in the Sahel in 2010 used 41 percent of the available carbon in the landscape, more than double the 19 percent in 2000. “As the population gets totally out of hand,”Potts said, “there’s going to be a lot of very hungry people,”. Organizations like OASIS are using family planning and female empowerment to lower population growth and address the effects of climate change. Alisha Graves, co-founder with Potts of OASIS, defines empowerment as the ability to make important or strategic life choices and act on those choices. “Family planning is not about telling women what to do, it’s about giving women what they want,” she said, quoting her colleague Ndola Prada, M.D., physician and medical demographer. 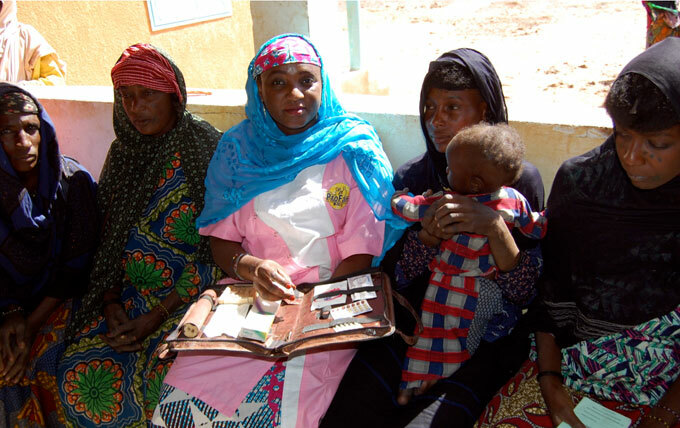 Though only 5 percent of Niger’s married women between the ages of 15-49 use modern contraceptives, 20 percent, in Demographic and Health Surveys in a 2013 study conducted by OASIS, said their desire for family planning was being unmet. In comparison, the rate of contraception use for women in the U.S. is 61.7 percent. Despite controversies inevitably involving family planning activities, experts say it can be very successful at reducing a country’s fertility rate. Increasing the age that girls get married and keeping girls in school also are critical in reducing a country’s fertility rate. For example, increasing the age at which girls get married by five years could reduce future population growth by 15-20 percent, according to demographer Judith Bruce and John Bongaarts, vice president, both with the Population Council, writing in the 2009 book A Pivotal Moment: Population, Justice and the Environmental Challenge. Globally, support for family planning is steadily increasing. USAID invested nearly $200 million in maternal and child health, and family planning in 2017 in the Sahel, up from nearly $150 million in 2014. USAID’s global budget for this category for 2017 was 1.1 billion. A study by the Guttmacher Institute showed that family planning efforts from 1999 to 2014 have increased in all four areas measured: policies, services, evaluation, and access. The study measured the potential effort that each country could be putting into family planning. At 60.3 percent of potential effort, Asia had the strongest effort in 2014, but Latin America had the greatest increase in effort at 10.1 percent. Before OASIS was founded, researchers with Berkeley’s Bixby Center partnered with Ahmadu Bello University’s Population and Reproductive Health Initiative in Nigeria to start a program for the Hausa population in northern Nigeria. The program taught girls outside of school and gave them local female role models. As a result of this program in 2012, 97 percent of girls enrolled in secondary school in 2012, up from 36 percent in 2007. Marriage age was delayed by 2.5 years, from 14.9 to 17.4 years. OASIS expects early in 2019 to launch a similar program with the Hausa people in Niger. JVE, too, expresses optimism about its ability to shift culture. Ayouba spoke about the growth in community awareness of climate issues and acceptance of family planning. “They have ownership of some [of the] programs,” he said. JVE’s goals for the future are to extend its month- and year-long programs to be three to five years in length, Ayouba said. Rachel Mueller is a journalist, documentary filmmaker, and student at the Graduate School of Journalism of University of California, Berkeley. She writes about health, the environment, Africa, and gender.